Raw after Mania viewership, Sasha Banks cancels talk show appearance, report on WrestleMania 37 frontrunner, a study on WWE reclassifying talent, T.J. Dillashaw suspended for two years & more. New Japan has announced their major cards for April and May, including the Wrestling Dontaku cards, and Hiroshi Tanahashi is off the tour. John Pollock’s coverage of WrestleMania 35 at MetLife Stadium featuring Ronda Rousey vs. Charlotte Flair vs. Becky Lynch for the Raw & SD women’s titles. John Pollock previews tonight’s enormous WrestleMania 35 card from MetLife Stadium with thoughts on the 16 matches that have been announced. During Saturday’s WWE Hall of Fame ceremony, a spectator jumped into the ring during Bret Hart’s speech and tackled the former wrestler to the mat. John Pollock’s live report on the ROH & NJPW G1 Supercard from Madison Square Garden with Kazuchika Okada vs. Jay White for the IWGP title. News and notes from the site of WrestleMania Week, Rey Mysterio will wrestle at ‘Mania, Legacy Wing inductees for HOF, talent set to return soon, MSG show tonight & more. Results from Friday’s NXT TakeOver: New York card at the Barclays Center with Johnny Gargano defeating Adam Cole to become the NXT champion and meeting congratulated by Tommaso Ciampa. A complete list of the WrestleMania Week shows and match listing for Friday in New York and New Jersey, including TakeOver, Spring Break 3, MLW’s Battle Riot & more. John Pollock examines the career of Kurt Angle that was full of incredible highs and frightening lows as he embarks on his farewell match. WrestleMania Week begins, Rob Van Dam signs an extended deal with Impact Wrestling, an update on Rey Mysterio, Beyond Wrestling launches its weekly show, emotional video on Tommaso Ciampa & more. 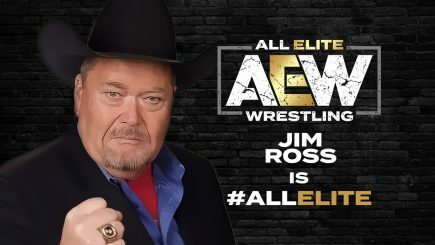 All Elite Wrestling has announced the signing of Hall of Fame announcer Jim Ross to a lucrative three-year contract with the upstart promotion. 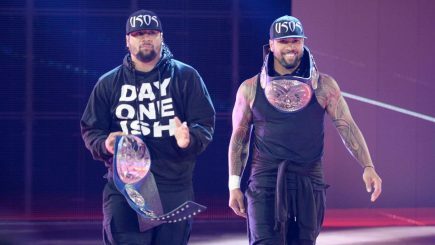 On Tuesday’s episode of SmackDown Live, it was announced that The Usos will defend the SmackDown tag titles at WrestleMania in a fatal four-way match. 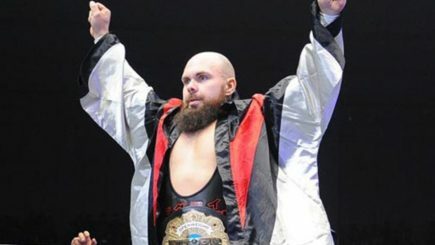 USA Network renews Miz & Mrs, the AAF suspends operations, Raw’s viewership, a preview of SmackDown, Amazing Red is retiring, Bare Knuckle FC incident & more. 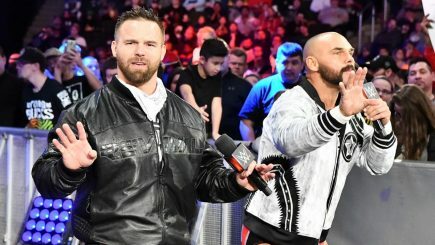 The Revival is scheduled to defend the Raw tag titles at WrestleMania this Sunday following a segment that aired online with Zack Ryder & Curt Hawkins. 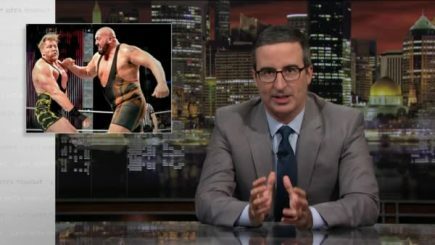 The WWE responds to HBO’s Last Week Tonight feature, Batista and Brock Lesnar on Raw, new opponents for Rich Swann, Josh Barnett signs with Bellator, WrestleMania cards on this date & more. 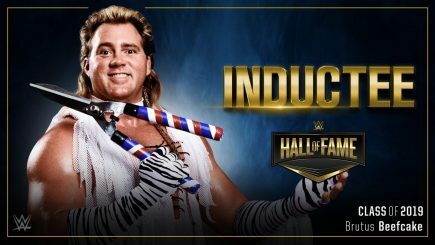 The final inductee into the WWE Hall of Fame class this year is Ed Leslie, who performed under countless names in his career. 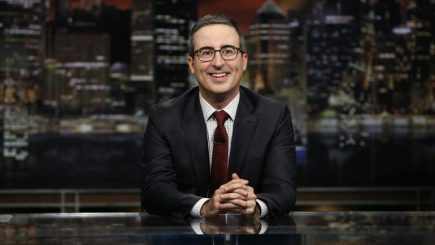 On Sunday night’s episode of “Last Week Tonight with John Oliver”, the host dedicated most of the show to the WWE’s treatment of their talent and examining many blemishes throughout its history.